WannaBoats Servicios Nauticos, S.R.L. (Hereinafter referred to as WANNABOATS), with RNC No. 131434894, a company incorporated under the laws of the Dominican Republic, applies the present conditions of service and contracting to its customers and users of this website. WANNABOATS is dedicated to the management of bookings for boats rentals, maritime services, activities and excursions related to maritime activities (not to the provision of the leasing service itself), and manages the collection of such leases. The regulation of the lease of boats, the maritime service, activity or excursion is made between the customer and the final service provider (owner or manager of the boat), through the lease (if applicable) with the final provider of the service. A lease agreement in which WANNABOATS does not intervene, nor is it a party. It is the intent and vocation of WANNABOATS that the customer is fully satisfied. Any incidences, please, please inform us at info@wannaboats.com without delay. In addition any communication or document must send or copy to that email address. WANNABOATS provides intermediation services (through the management of Internet reservations) in the rental of pleasure boats, services, activities and excursions related to maritime activities. Through WANNABOATS, the user makes the reservation of the lease, services, activities and excursions, and then, if necessary, hire a boat, services, activities and excursions related to maritime activities, with the final provider of the service. In the stipulated conditions with the same, in exchange for the agreed price. WANNABOATS additionally engages and has contracted by the final provider of the service, the collection management of the lease, service, activity or excursion. All boats, services, activities or excursions that appear on wannaboats.com are offered by WANNABOATS as mediator, and their responsibility is limited to connecting the client with the final provider of the service, which is the sole and direct responsible of the provision of such service. WANNABOATS is not responsible for the provision of the service and, therefore, does not guarantee or respond to the non-fulfillment or non-exact fulfillment of the service contracted by the final provider of the service, which is with whom the user finally contracts. However, WANNABOATS reports that it expressly requests all final service providers to provide a good service, in full compliance with industry standards of boats leasing and chartering. Failure to comply with this obligation by the final service providers implies that WANNABOATS may decide not to have them on wannaboats.com. The final provider of the service additionally and expressly orders WANNABOATS to charge the customer for the contracted boat leasing services, maritime reservations services, activities and excursions as well as holding the reservation that corresponds. The customer expressly accepts this limitation of responsibility of WANNABOATS and, consequently, WANNABOATS is only responsible for the management and formalization of the reservation of the chosen boat, service, activity or excursion. WANNABOATS is only responsible for the collection and boat lease collection management, according to the conditions and parameters established and the characteristics announced. The client knows that the final provider of the service may not be able to accept the reservation, in which case WANNABOATS will offer the client alternative boats, services, activities or excursions or give a full refund of the amount, if applicable, hold and / or paid. Although we try to make the service as accurate as possible to what is published on wannaboats.com, we can not verify or guarantee that all information is accurate, complete or correct. The final provider of the service is responsible for the information (prices, configuration, features, extras, etc.) included in wannaboats.com with respect to the boats, maritime services, activities or excursions. WANNABOATS does not verify such information and, as a consequence, it is the sole responsibility of the final provider of the service that this information is truthful and correct. The user accepts that any claim in this regard will be made directly and exclusively against the final provider of the service. Notwithstanding, we inform you that WANNABOATS requires to the final providers of the service that the information they provide is truthful and correct; Otherwise, they may be excluded from wannaboats.com. Any incidences, we kindly recommend you to inform us at info@wannaboats.com. The rental contract will have the duration foreseen in the rental reservation form, notwithstanding that it will be subject to the regulation of the contract to be signed with the final provider of the service. Any change in its duration must be informed to WANNABOATS for its management and control. The conditions of the service and of contracting will enter into force in the moment that the user generates an online reservation through the website WannaBoats.com. Select a boat, a sea service, an activity or excursion, read conditions. Specify the dates and, if applicable, the extras and fill out mandatory data, including any personal data that may be necessary. Obtain the confirmation of WANNABOATS as the final provider of the service has accepted the reservation, and if applicable apply to obtain the lease that elaborates and provides the final provider of the service. Pay (or accept the holding) the amount of the boat leasing, service, activity or excursion. Or the part that is required (depending on the remaining time for the service provision). Make pending payments to WANNABOATS (if applicable) on the indicated dates. Once the service is received, WANNABOATS will asks the user for a detailed evaluation of the received service, with the purpose of publishing it so that other users can make a more informed hiring. The user acknowledges that the provision of the service will be exclusively the responsibility of the final provider of the service, and that, therefore, it is solely responsible for the service. User is any person over eighteen years of age, and with the power to contract and be bound to accept the present conditions of service and be bound by contracting when generating a booking form. Always provide accurate and up-to-date information on the requested data, both personal and non-confidential. Do not provide your password to anyone to ensure that the only person who accesses with your user account is yourself. Provide WANNABOATS with the requested data in order to manage: reservation (by WANNABOATS), contracting and provision of the service (by the final provider thereof) and collection of the lease (by WANNABOATS). Accept that WANNABOATS can transmit your personal data to the final provider of the service, so that he/she can carry out the lease, and have the data of the people who rent provider boat (if applicable) or will be passengers of the same. 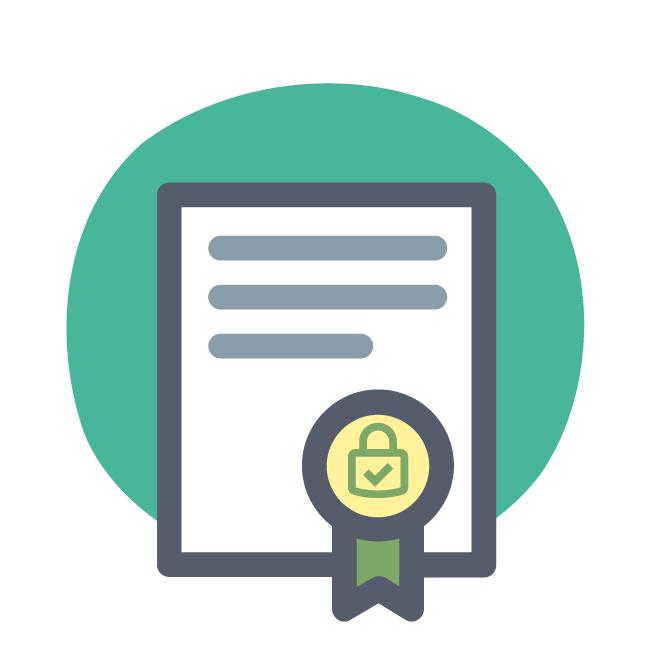 The final provider of the service has the commitment and the obligation to comply with the regulations of personal data protection. Provide information and qualifications that, if it is the case, are reasonably required. Make the payments of the amounts corresponding to the contracted services in the terms informed at in the time of the reservation and / or contracting. Make proper use of the services and, where appropriate, have the titles or licenses appropriate to the use of the boat. Pay all services as indicated by WANNABOATS, as well as those made during the trip and not expressly included in the offer such as skipper, fuel and water, moorings outside the base port, fees, as well as all other services requested into the leasing contract. Provide only truthful information in the valuation of the received services. In any case, WANNABOATS reserves the right to reject or withdraw any ratings or opinions that do not comply with the rules or are rude. The final provider of the service may be the owner of one or more boats, services, activities or excursions related to maritime activities, a charter company, a broker, or an agency that has management of the boats, services, activities or excursions related to maritime activities. WANNABOATS offers to providers the possibility to advertise their boats in the WANNABOATS website with a description, characteristics, images, video, prices and an availability calendar, according to the information they provide to WANNABOATS. With this, WANNABOATS can make its service of reservations and, as the case may be, leases management and collection. The final provider of the service is solely responsible for the user (customer), and must comply with the laws in force in the Dominican Republic. WANNABOATS, only provides intermediation service. The user (customer) and WANNABOATS accept the possibility of formalizing the agreements and contracts by any means admitted in law, including contracting through the web or electronic mail, telephone recording, digitized signature or electronic signature, as well as can be stored, organized or reproduced by any means available. The user (customer) will make the payment at the time of booking or contracting, in the quantities and at the time indicated in each case (and that will be according to the previous user acceptance). In the event that at the moment of making the reservation the payment of the entire amount is not requested, the user (customer) is obliged to make the remaining payment on the indicated dates. If the remaining payment is not cleared before or on the indicated dates, the reservation will be cancelled and penalty of 50% of paid deposit will apply. The accepted means of payment are payment through the payment platform enabled on the WANNABOATS website, like Paypal, Bank Transfer or Deposit to the account of Wannaboats Servicios Náuticos SRL, as well as other payments methods that can be implemented via online. Failure by the user (customer) to pay the installments in due time. The recklessness or non-compliance with the rules and legislation in force in the use of the boat, which includes, but is not limited to: boarding more people than authorized, navigating outside the limits authorized for the boat and by its title. Not to present the necessary qualification for the government of the boat, at the moment of embarking in the contracting where the user (customer) has not requested Patron. Not to demonstrate sufficient competition in the government of the boat, in contracting where the user (customer) has not requested a Master. If any of the terms of these service and contracting conditions are declared null and void pursuant to current legislation, or by virtue of a judicial decision of a court or body with sufficient jurisdiction, the remaining terms of these will remain in force. Future changes in the web or in these conditions of use will be informed to the user and will be considered accepted by the user if he re-enters wannaboats.com after said communication. Claims will be made in writing and with a reliable method of receipt. In order to resolve any dispute over the interpretation or its own jurisdiction, they expressly submit to the jurisdiction and jurisdiction of the marine authorities and, where appropriate, the competent courts and tribunals. These conditions are subject to the laws of the Dominican Republic.